The 45th rendition of the Iron Man armor together with a dioramic extendable base! 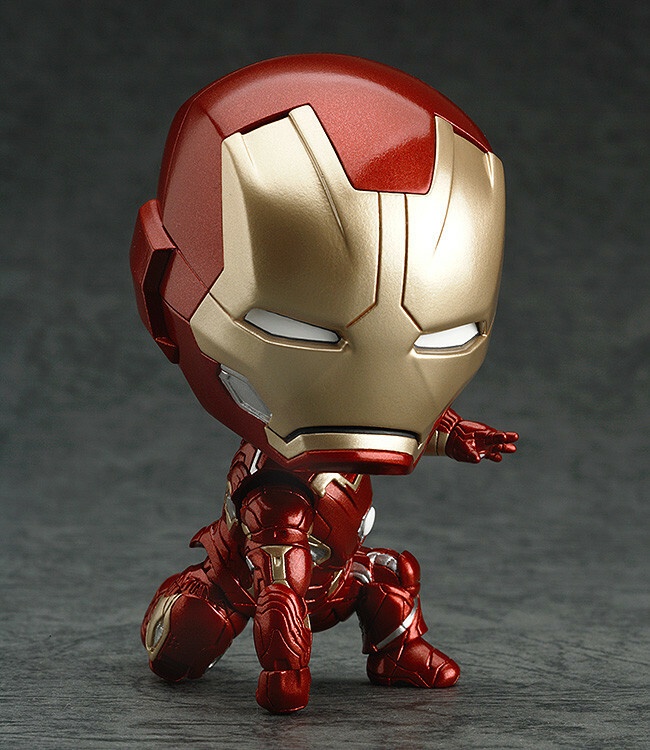 "From the hit film 'Avengers: Age of Ultron' comes a Nendoroid of Iron Man Mark 45! 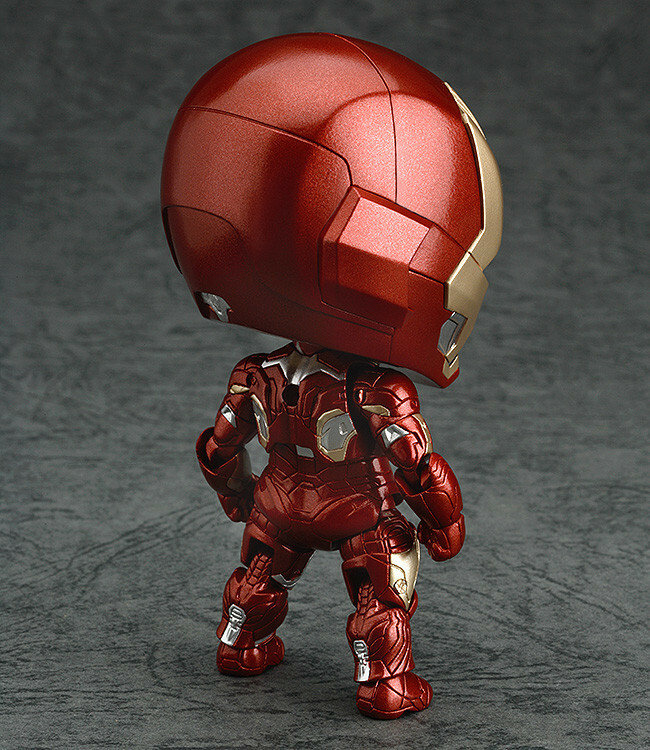 The Mark 45 features a brand new sculpt in order to faithfully bring out the changes between all the previous Iron Man armors. The paintwork also features a new composition to provide more depth to the colors of the armor. 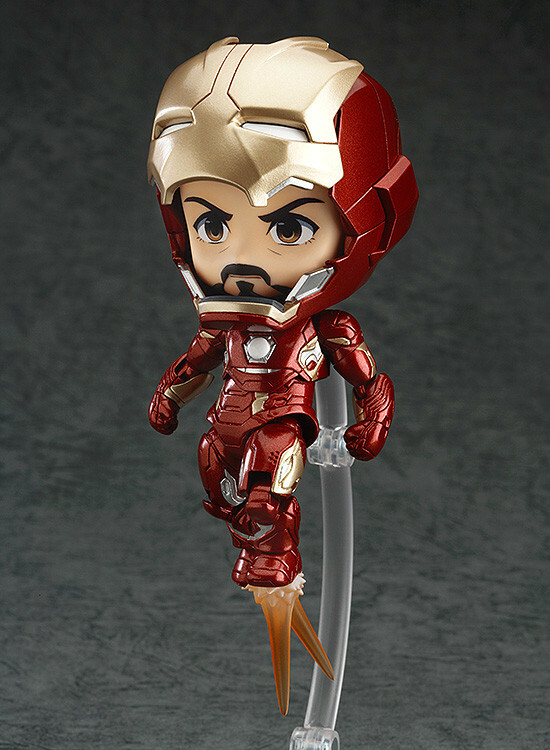 This time around the included Tony Stark faceplate has a more confident, serious look on his face. 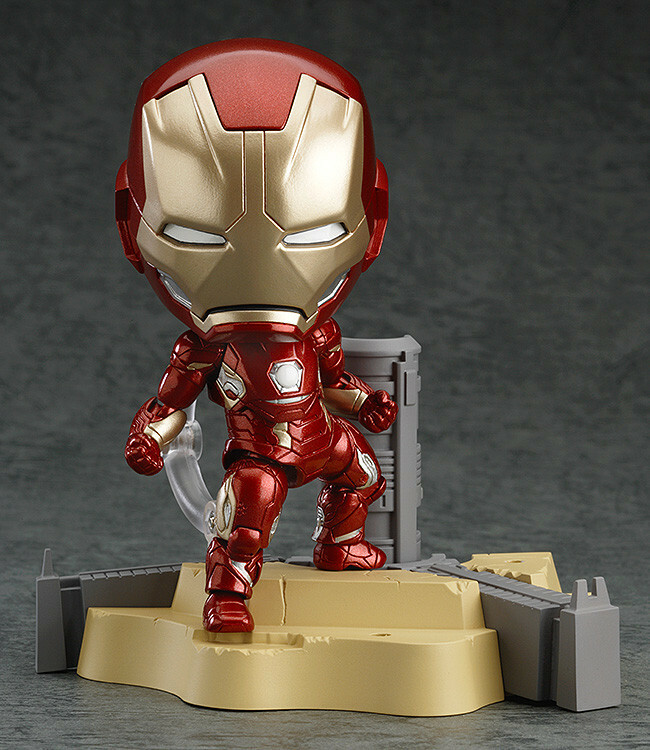 Just like the previously announced 'Nendoroid Iron Man Mark 43: Hero's Edition + Ultron Sentries Set' he comes with a variety of effect parts as well as an alternate front and back head part to display him without his helmet. Various options for all sorts of fun! 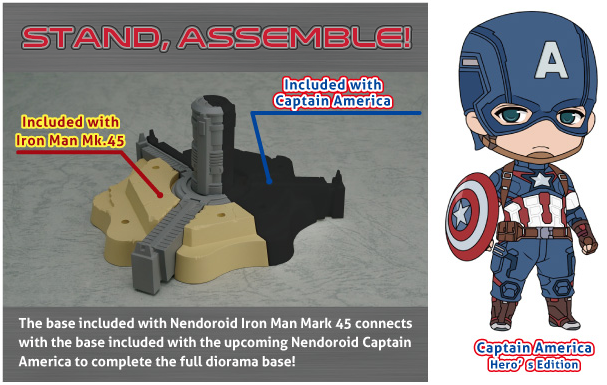 The included stand is based on the final battle scene from the series, and can be combined with the base included with the upcoming 'Nendoroid Captain America' in order to complete the full circular base! When the two bases are connected together they form a large dioramic base that really brings out the atmosphere of the series for fans to enjoy!" 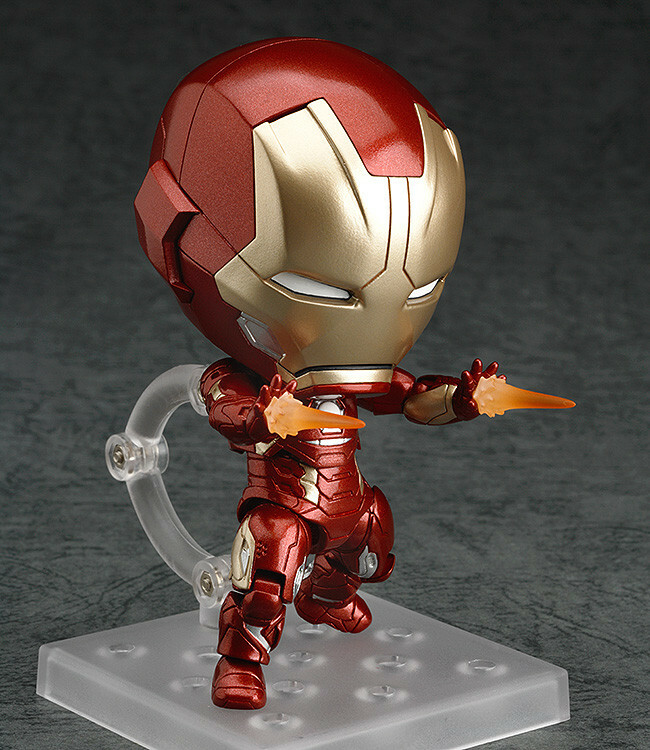 * This special base is included with all purchases of Nendoroid Iron Man Mark 45: Hero’s Edition. 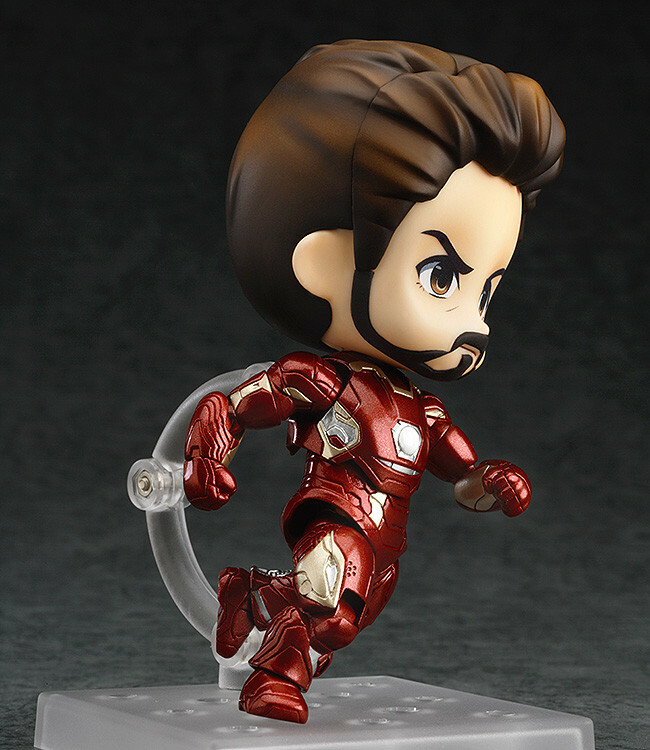 * Nendoroid Captain America will be available at a later stage.